Chicago IL: Beautiful strains of melodious carols, euphonic musical presentations, colorful dances, message centric skits and inspiring sermon marked the spectacular Christmas Party organized by Willow Creek Community Church (WCCC), on Friday, December 19, 2014 at 67 East Algonquin Road, South Barrington, IL. 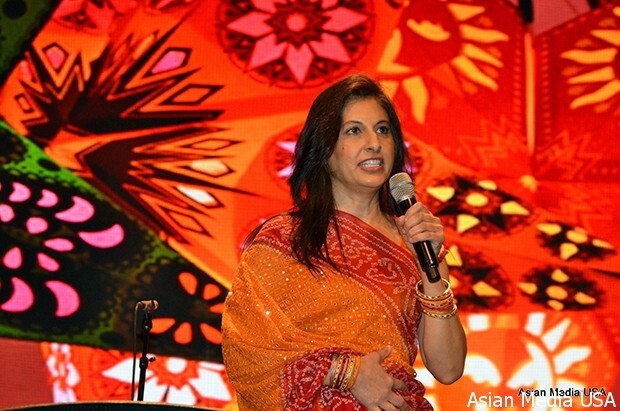 The attendees ranged from toddlers to seniors and were dressed in vibrant and colorful Indian attire. Despite adverse weather over 4750 joined the Christmas ceremony in the main auditorium and 1300 plus in Indian-Style Christmas Party after the service. The purpose was to organize the largest Indian Christmas celebration. This luminous festive event had a sizeable attendance of Christian families complemented by the presence of representatives from the Asian communities, thus making a grand inter-faith and inter-denominational Christmas celebration. Every year 60,000+ people in the Chicago area experience this Christmas tradition over the 6 days leading up to Christmas at Willow Creek Community Church (WCCC). Saray Rodriguez was the coordinator of the event. The program was highly successful with the active support of the Executive Committee of Section 102F, WCC church members and volunteers. The highlights of the Christmas extravaganza was the Indian-Style Christmas Party which was full of entertainment such as live traditional Indian Christmas music, dramatized presentation of the Christmas Story, vibrant, authentic, and beautiful Indian dance performances including Christmas Bhangra, Raas and Bharatanatyam, Christmas gift door/prizes throughout the evening, a traditional children’s Christmas Pageant, Mehendi, photo ops, children’s face painting, free Christmas gifts for all children, and all-you-can-eat Indian (and American) food. The first 300 ladies also received free stocking-stuffers provided by Salon Elite! The spectacular Christmas Production began at 7:00 pm with a live, multi-media dramatization of the Christmas story. The theme of the program was that Jesus is born to save the world. “I am Sorry. Forgive me. Help me. Use me. Guide me. Comfort me. Cleanse me. Redeem me.” was the message from Bill Hybels. After the service the Indian-Style Christmas celebrations began in the Lakeside Foyer. Master of ceremony was performed by Saray Rodriguez and Cheetra Thakkar. The program began with traditional Indian Christmas music. Christmas songs were sung by young children. State of art Sound and Light on stage with extraordinary Christmas production on large screen, well planned coordination of everything was the amazing experience for the audience. Saray Rodriguez welcomed everyone to An Indian-Style Christmas Party and introduces herself as the leader for Section 102F. “If you invited someone who is here for the first time tonight, please stand up. Thank You! 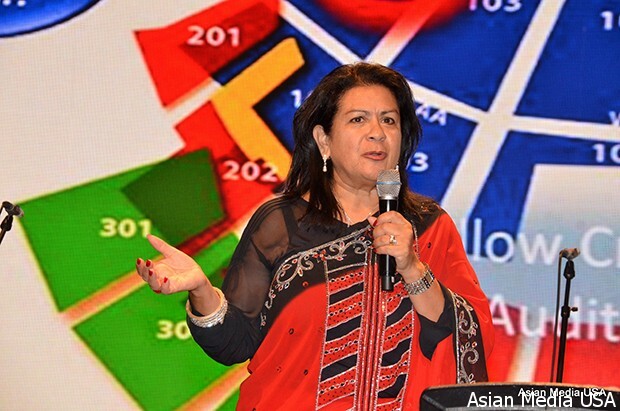 Each one of you has made a huge investment in making a positive difference on behalf of God’s Kingdom. One of our hopes is to not only get a glimpse of who God is, but to grow in our relationship with him. I have no idea where you are. We all have a story. Here at Willow, we choose to appreciate and value each other’s stories and grow together in our faith. Each week, we learn more about what it means to be devoted to God. So, come and learn with us” said by Saray Rodriguez. Yeshu Jayanti was marked by a colorful veena recital to celebrate the joyful evening! Saraswathi Ranganathan welcomed the 1300 strong gathering to a soulful “What Child is this” along with Tony Karasek on Sitar, Dhananjay Kunte and Kalyan Pathak on Tabla. 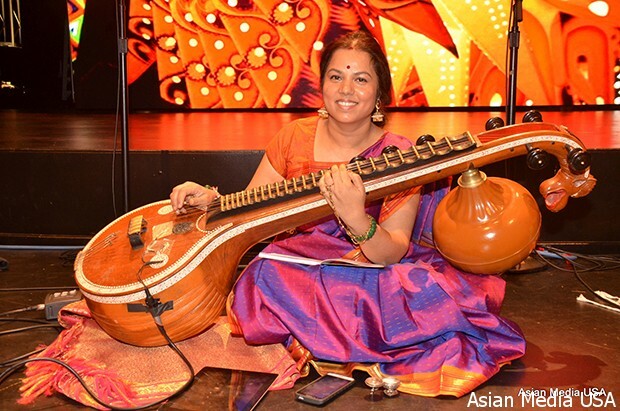 Saraswathi enthralled the crowd with foot-tapping rhythms of Holly Jolly Christmas, Feliz Navidad on the Veena with the skillful Dhananjay raining beats on the tabla. Tony then wonderfully played ‘Oh Emmanuel’ on the Sitar with Kalyan ably accompanying on the tabla. Incidentally Tony, based out of Indiana, has a passion for making sitars. Saraswathi’s veena playing held the gathering in sway with an eclectic appealing mix of carnatic improvisation, popular Christmas carols “Silent Night”, “Joy to the world”, “Oh Christmas Tree” concluding with a rollicking “We wish you a merry Christmas”! Saraswathi once again demonstrated that she is one of the most versatile artists in the veena playing multiple genres, skillfully interpreting sounds in novel ways that touch the heart of the critic and the connoisseur. Kalapadma Bharatanatyam Dance Academy presented a group dance for Christmas. This was choreographed by Smt. Ruth Varghese, the Artistic director of Kalapadma Dance Academy. They did Malhar Thillana composed by Krishna Janakiraman & Agam the Band. They combined a popular Christmas song to celebrate the birth of Jesus Christ and to wish everyone a Merry Christmas. Participants were Tina Shah, Nirvani Jairam, Pavani Jairam, Rebecca Joseph, Rainu Thomas, Anjali Varghese, Niyati Patel, Jenish Bulsara, and Tina Varkey. The audience loved their dance and gave them a lot of compliments. Ministry of Bhangra Performed Bhangra to Punjabi folk songs. “Sirre utte maave wale pagh ban de, oh gaale kainte soneh ne”. This dance was choreographed by Sonia Singh. Dance participants were Paramveer Dhillon, Jeffrey Griffin,Sheena Khanna, Nevida Khetarpal, Nitesh Khetarpal, Simi Mathew, Anjali Raichura, Partik Singh, Sonia Singh and Jaskaran Sangha (Dholi). “Please join us for one of our nine Christmas services continuing from tomorrow 20th. We have plenty of General Admission seats available! Simply come to the service of your choice and line up outside the auditorium doors of any level. 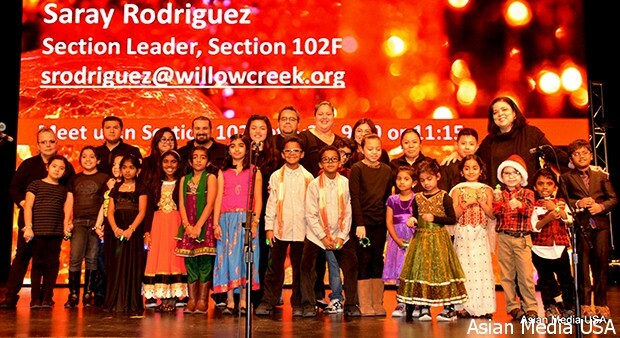 Willow Creek Community Church is a non-denominational, multi-generational Evangelical Christian church” said Saray Rodriguez. “I would like to extend a very warm greetings and compliments of the Christmas season. As we celebrates Yeshu Jayanti at Willow Creek Community Church, let us be reminded that Christmas is a universal festival that celebrates the birth of savior Jesus Christ. May the splendor of Christmas sparkle with moments of love, peace and happiness. May the New Year 2015 usher a great promise of hope, prosperity, contentment and unbridled joy” said by Charly Jeganathan. Christmas gifts were distributed to children under 10 years. The evening concluded with a serving of fine dinner. All-you-can-eat Indian food (including all-American favorites like pizza and KFC for the kids). Ladies’ High Tea – January 31, 2015: http://sections.willowcreek.org/ladiestea ,Successful Relationship Seminars – Wednesdays in January: http://sections.willowcreek.org/successful/ and Diwali Celebration in November and Christmas Program in December. Ravi Narasimhan, Sophie Narasimhan, Prasannal Nithyanandam, Charly Nirthyanandam, Gerald Gonzales Linda Gonzales, Diana Hoffman, Pam Baldwin, Kim Barrett, Alisha Reedy, Cheetra Thakkar, Edith Rugg, Steve Rugg, Lise Onstott, Jose Martinez, Wanda Ramos, Kim Aberson, Shanthi Kumar and Uday Kumar.